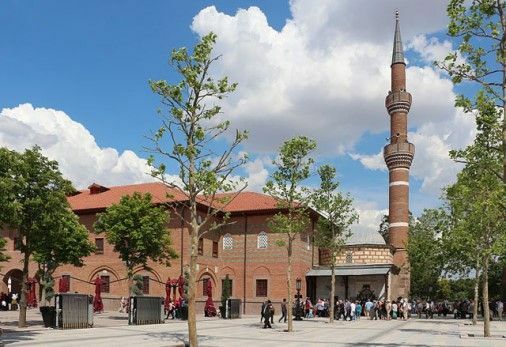 The Haci Bayram Mosque is dedicated to Sufi poet Haci Bayram, who founded the Bayrami sect. 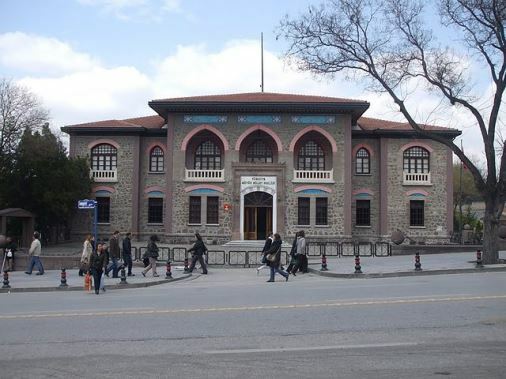 The Haci Bayram Mosque is dedicated to Sufi poet Haci Bayram, who founded the Bayrami sect. Originally built in 1427-28, it was restored by architect Mimar Sinan in the 16th century, and later again in the 18th century. The Haci Bayram mausoleum next to the mihrab of the mosque exemplifies 15th century mausoleum architecture. It has a square plan with an octagonal drum topped by a dome, and a two-gallery minaret at the corner. The marble facade has a striking portal with a checked arch. The interiors are lined with Kutahya ceramic tiles, and the wooden shrine was decorated by famous engraver Mustafa at the end of the 17th century. The 18th century Osman Fazıl Pasha Mausoleum can be found in the garden.